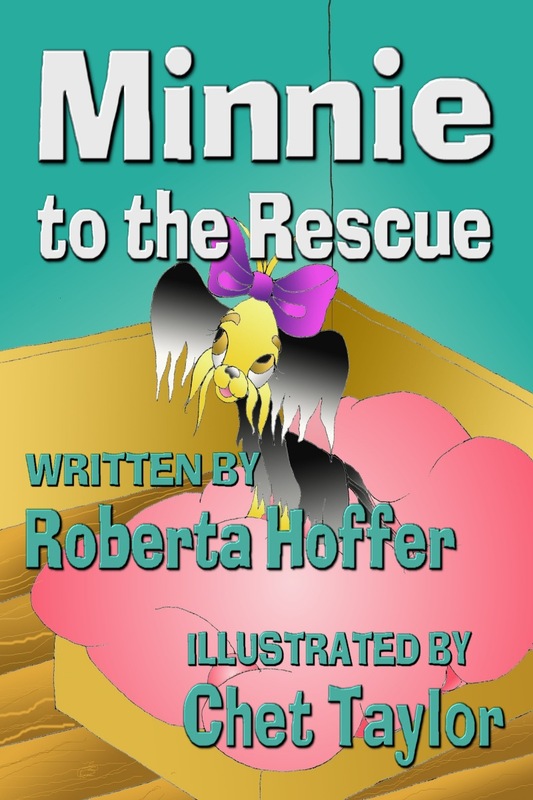 Released on the Kittycat Books label of Dragonfly Publishing, Inc.
Minnie the Yorkshire Terrier doesn’t know what to expect when she is rescued from the adoption center. Will this new place become her forever home? Then when another Yorkie named Buddy is rescued by her new owner, will she like him? Will she be able to help him adjust to his new home? COLOR EBOOK [EAN 978-1-941278-30-7 | ISBN 1-941278-30-2] Available in standard EPUB and Amazon Kindle MOBI (color) | Average Price: $3.99 || Color Kindle eBook at Amazon | Color Kindle eBook at Amazon UK | Color EPUB eBook at Apple iBooks | Color EPUB eBook at Barnes & Noble | Color EPUB eBook at Kobo Books | Color EPUB eBook at Smashwords || Find Kindle editions at Amazon. Find EPUBS at Apple iBooks, Barnes & Noble, Blio, Kobo Books, Open Library, Overdrive, Scribd, Smashwords, and many more! This website participates in an affiliate rewards program with referrals to Smashwords.com. Visit robertahoffer.com to read about publications, find sales links, read excerpts, and watch book trailer videos!